Welcome to Skyrise: Ascent. In this world, after defeating Makuta, Mata Nui was unable to restore Spherus Magna to its former glory, and the Mask of Life was lost in the chaos that followed. 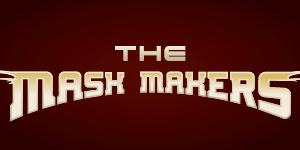 Without the mask’s energies to properly repair it, the newly-reformed planet became unstable, prone to earthquakes and floods, the decades of natural disasters drastically reshaping the landscape and decimating many of the existing population centres. Over a period of several hundred years, Bara Magna was transformed into a maze of plateaus and canyons, with the seas of sand at the bottom being ruled by rabid bands of Zesk, Vorox, and vicious Rahi. In the process, Marendar was unleashed, wiping out the few Toa who remained before presumably being destroyed. The sentient races that were left made their homes atop the sturdiest of the rock formations, further reinforced by the efforts of friendly Skakdi and other powered beings. On the less secure plateaus, criminals and other outcasts still cling to life in settlements of their own, living in constant fear of the next tremor being the one to spell their doom. Two years ago, a war broke out between the settlements of New Atero and Fe, with New Atero constructing terrain crawlers and striders to covertly assault the aeronautically-superior Fe from below. While this attack seemed, at first, to be unprovoked, it was eventually revealed that the government of New Atero was being manipulated by Tuma, whose sole intent was to emancipate the hundreds of Skrall being worked to death as slave labour in the mines of Fe. With all of their defences pointed skywards, Fe was taken by surprise, and though they were they had the technological advantage, their people weren’t as battle-hardened as those of New Atero, and were gradually overwhelmed. In the face of imminent defeat, Fe’s ruling council threatened to unleash a horde of trapped Baterra upon the wasteland. The attackers were left with no choice but to destroy Fe, detonating the settlement’s stockpiles of ammunition, weapons, and machinery. The surviving citizens either took to piracy, or assimilated into the other settlements. In the years since, an unsteady peace has settled over the Wasteland. While most of those within the remaining settlements are content in their uneventful lives, toiling each day to ensure there’s enough food and resources to go around, there are those tasked with travelling between settlements to bear news, ferry resources, and most importantly, keep the peace. It is into these roles that players will be stepping, captaining airships or piloting scout craft across the hostile surface of the new Great Barren. The new Bara Magna is a dangerous, desolate place, with the various permanent settlements serving as the only real safe havens. (Map) Note that there are certain marks and notes on the map that do not appear in the list below. These have been included for player reference, but are currently not common knowledge to characters in-game. Tesara – Sitting astride a singular pillar of earth and stone in the centre of an immense crater, the roots of this jungle village’s immense trees have withstood the test of time, and have held it together for untold decades. The Tesara plateau is overgrown with vegetation, and is even home to a small population of various rahi species, suitable for use as livestock or even pets. Tesara supplies most of the Great Barren’s food, and maintains long-standing trade deals with the other settlements. Tesara is undoubtedly the most open and accepting of all the settlements, although there are some who would argue that they’re too trusting, a trait that was used against them to some extent during the war, which has led to lasting tensions. Tesara is ruled by a triumvirate of elected officials. New Atero – Originally little more than a shanty town built up at the foot of the remains of the fallen Great Spirit Robot, New Atero has endured the disasters that have lashed the planet, and coalesced into a singular, colossal fortress. Being in fairly close proximity to a freshwater lake and the open ocean, they’re becoming increasingly self-reliant, their more militant nature leading many to distrust and fear them. New Atero’s surrounding are strewn with shattered metal and rocky outcroppings, dotted with watchtowers and turrets. New Atero is currently suffering civil strife, with a newly-formed parliament struggling to soothe tensions within the different factions among the populace. Fe – Once the technological powerhouse of the Great Barren, this settlement was reduced to rubble in the war. While many of the survivors were able to assimilate into other settlements, the actions of Fe’s leadership before and during the war have led to many of these survivors being treated with suspicion and disdain. Aqua Magna – Volcanic eruptions and earthquakes have turned the oceans foul and polluted, with only the strongest, most vicious of creatures still able to thrive there. Despite this, the beasts that dwell there make for good eating, for those who have the means and the skill to hunt them. Rumours abound of ancient treasures and old-world artefacts being located somewhere in the depths, although the equipment to pursue such rumours is costly, and difficult to come by. Expeditions have attempted to search for lands beyond the shores, but none have ever returned. The Arena – No one is entirely sure who built this place, or when, or why, only that it is hewn from some seemingly indestructible stone, the strongest of earthquakes and most powerful of Kanoka alike having no effect on this mysterious structure. Given its proximity to The Chasm, most beings chose to avoid it entirely, but it is still occasionally used for trade meetings or impromptu tournaments. On some nights, a beacon issues skywards from a dais in the arena’s centre, though none have yet figured out to enable whatever mechanism the dais is intended to activate. Skyfighters - again only able to be used by the smaller species, these speedy, agile fighters are equipped with a single weapon. It is worth noting, however, that while these glorified gliders are able to stay airborne for much longer than most other craft, they’re far from the most versatile of aircraft, and a few well-placed shots in the right place could easily knock them out of the sky. (Pilot teleportation, 1 weapon slots, 1 customisation slot). Rockoh - used primarily by many of the larger races, these stocky, heavily armoured craft are equipped with enhanced engines, capable of putting on incredible, albeit brief, bursts of speed in order to ram targets. As well as their characteristic rams, these craft are usually equipped with two weapons. (Pilot teleportation, 2 weapon slots, 2 customisation slots). Jetrax - the perfect midpoint between speed, agility and firepower, these craft are also used by most of the larger races. Capable of carrying three weapons, the Jetrax model’s most noteworthy vulnerabilities are its two bulky wing-mounted engines. In addition, although most of the vehicle is armoured, the cockpit is not, leaving the pilot somewhat exposed. (Pilot teleportation, 3 weapon slots, 2 customisation slots). Axalara - the biggest and heaviest of the vehicles in the fleet, it’s not as fast or agile as the Jetrax, but is much more heavily armoured. It can carry only two weapons, as its primary purpose is to serve as a bomber, deploying explosives from a hatch underneath to drop onto targets. This aircraft’s main drawback is that its pilot is left even more exposed than that of a Jetrax. (Pilot teleportation, 2 weapon slots, 2 customisation slots, 1 bomb bay). All aircraft share a default cruising speed, which allows them to travel between any of the main settlements within 3-4 hours. While airships and jetpacks cannot accelerate much beyond this cruising speed, most other aircraft can make this trip in roughly half the time, making them ideal for use as messengers or scouts. The crew and pilots of airships, jetpacks, and skyfighters are still able to access their powers and use powered weapons. However, the unique energies that power larger aircraft (Axalara, Rockoh, Jetrax) also render the pilots unable to use any powers or powered weapons they might have, forcing them to rely solely on their vehicle’s capabilities. After the fall of Fe, the means to create new aircraft was shared with all three of the remaining settlements, with advances in development allowing for new innovations in regards to customisation and capabilities. Edited by Black Six, Apr 09 2019 - 02:08 PM. The fiery visage of Solis Magna reared up from its hiding place behind the horizon, spilling searing rays of sunlight across the foul, fetid surface of Aqua Magna, and the vast expanse of battered plateaus and fragmented canyons that lay sprawled beyond it: the Great Barren. War and weather had changed much in recent years. Where four settlements had once stood, only three now remained. The Tesaran Plateau was unique among the settlements in that it was surrounded on all sides by a vast expanse of open canyon. The hot springs that once made Tesara so desirable lay shattered and broken at the base of the canyons, still providing enough water for sizeable Zesk swarms to thrive, especially given the comparative wealth of potential meals they received in the form of refuse and rubbish that sifted down from the settlement above. The northern end of the outcropping was the site of the village, with the outermost edge being home to docking bays, landing pads and anchorages for airships and other vessels. The village itself was relatively small, but tall, with most of its inhabitants residing in towering apartment complexes rather than their own houses. A few private dwellings were clustered at the village’s west-most edge, home to the village’s elders and other wealthy citizens. In the centre of the village was a huge, open square, where the fortnightly markets, and other public events, were hosted. In recent months, the marketplace area has been expanded outward all the way to the berths on the edge of the village, affording easier access and even more space for vendors and visitors alike. Scattered around the perimeter of the square were bars, inns, shops, and the Tesaran Temple, a dome-ceilinged building that served as a memorial to the fallen heroes who’d given their own lives to ensure the continued existence of the village. On the south side of the village were fields of plants and livestock. Casual visitors often remarked how the fields appeared far too small to provide for the entirety of Tesara, let alone produce all of the goods that were traded to the rest of the Great Barren every fortnight, but those who resided in Tesara itself knew better. It wasn’t the fields themselves that did the work, but a hefty number of well-paid Onu, Ga, and Bo elementals who worked those fields every day. Beyond the fields was the forest. Small, but dense, with only a handful of small clearings, it constantly required management to prevent it from encroaching on the fields and village grounds. Vines, roots, and creepers spilled off the southern edge of the plateau, and they too needed to be cut back every few months or so to prevent the beasts below from climbing up them. The newest addition to the village is a production area for manufacturing new aircraft and other technologies. The factory and storage areas rest below the village, in a cavern accessible by aircraft or tunnels from the surface. As daylight broke over the ragged edge of the horizon, bathing the marketplace of Tesara in its radiance, a smile broke across the face of the Glatorian named Jira. It had taken months of work, and weeks more of delays and setbacks, to extend the ledges and build up the area dedicated to the markets, and at last the new, expanded grounds were going to be put to use. Already, dozens of stallholders and traders were hard at work setting up their displays and unpacking their wares. Today would be the largest market day Tesara had ever hosted. Invites had sent out all across the Great Barren, to every makeshift encampment, to every isolated fishing village, to the Arena, to New Atero, even to Cliffside. Today was a day for celebration, and everyone was invited. Everyone, that was, except for her. With so many strangers coming to the village, someone had to keep an eye on them all. And, as usual, that thankless task would fall to the Tesaran Guard and their captain. New Atero, by contrast, was a singular, imposing fortress. Strategically positioned with a sheer rock face at its back, and a steep incline at its front, its outermost walls were built up from the shattered remains of the fallen Great Spirit Robot, reinforced with scrap metal, protodermis, and stone. Within the walls, the village was orderly and regimented, separated into four distinct zones, all arrayed around a singular, titanic tower that squatted in the city’s centre. The residential district was, as one might expect, home to houses and inns, where citizens and visitors alike were expected to reside. Guards regularly patrolled the area, checking the identification and visas of those they encountered to ensure that everyone was where they were supposed to be. The trade district was where market stalls, shops, bars, and so on were situated. Be it goods, services, or just information, if it could be bartered for or bought, the trade district of New Atero was where it would be found. Next came what was uncreatively referred to as the ‘parking district’, simply being an entire quarter of the city reserved for both public landing pads and privately leased berths. This, too, was regularly patrolled, but careful bribes ensured that certain areas were given more attention than others. In the same vein, for a price, the patrols could be convinced to be… elsewhere at the time certain aircraft abruptly arrived or disappeared. Lastly, there was the crafts district, devoted to forges and construction. The tower in the city centre now served as the meeting place of the village’s newly-formed parliament, and the residence for many of that body’s members. Similar to the system in Tesara, guards emerged from the tower each morning to place new announcements on a noticeboard outside the tower, alerting the populace to whatever news the rulership deemed necessary for the people to be aware of. Citizens and visitors were also free to post notices, but content that the guards didn’t approve of tended to disappear quite quickly. Two figures – a Skakdi and a Skrall – stood side-by-side on a balcony near the top of the central spire overlooking the city. The settlement known as Cliffside was an absolute mess. It always had been, and it always would be. There was no government, no control, just an endless string of riots, brawls, and disorganised mob rule. Shanties, huts, and makeshift houses were strung across the closely-clustered handful of outcroppings that made up the village. There were sometimes bridges spanning the gaps between, but more often than not they tumbled into the canyons whenever the ground started shaking. There were no designated landing areas – if you wanted to land, you’d either have to find room, or make room. Indeed, both survival and citizenship in Cliffside followed that same pattern – you had to make or take whatever you could, and prove to those nearby that you had what it took to defend it. Those that failed became food for the beasts below. There was, however, one constant in Cliffside. Situated on the largest, sturdiest plateau was Capstone, an expansive, blocky building that served as both a bar and a marketplace, and was where the people of Cliffside voted on important decisions and exchanged news and information. It was an unspoken rule that no blood was to be shed within Capstone, and those who defied that rule would find their stay in Cliffside to be a very short one indeed. Today, the ramshackle shanty town was uncharacteristically quiet. A surprisingly large number of the regular patrons had taken up Tesara’s invite, and departed before dawn. Those that remained were largely subdued, tired from days of working and nights of drinking. Even the ordinarily-bombastic Captain Blackbristle couldn’t find the motivation to summon any mirth as he sat in his favourite spot in Capstone, staring at a new crack that had woven its way up one of the bar’s stone walls. He’d devoted decades of his life to keeping this place afloat, but now even he wasn’t sure how much longer it would last. Earthquakes had been hammering the area with increasing frequency of late, and while the people of Cliffside had always lived on the edge, in every conceivable way, this latest bout of quakes had them all unsettled. Every shake in the earth was met with terror and dread. Something needed to be done, of that Blackbristle was certain. But with the earth itself as their enemy, he was truly uncertain of what to do. What little sleep he could manage was restless and sporadic. The constant clanking of the machinery on board his airship made it difficult, as did the memories and emotions that constantly tormented him. When he did dream, those dreams were nightmares. Nightmares of that fateful day, when Fe fell, because of his failures. It had been his job to anticipate an attack, to track down those who intended his home harm, and he’d failed. He’d been so close to unravelling the plot, to stopping the disaster before it had begun, to keeping his people safe. And now he had nothing. No plan. No people. No purpose. He had nothing, save for a desire to lay waste to those that had taken everything from him. “Do you hear them?” The Overseer’s voice was soft, her whisper barely audible over the wailing winds that wisped through the weathered mountains all around the craterous crevasse above which her airship hovered. The wind was cold against the skin of the Steltian the Overseer was speaking to. Cold. Biting. Abrasive. It carried with it stinging flurries of sand, the acrid scent of smoke, and – just for a moment – something that sounded very much like distant screaming. “What… what is that?” Barlow stammered. He and the Overseer stood side by side on one of the outer walkways of her airship, looking down at the blackened abyss where the mountain of Fe had once stood. He couldn’t remember where he’d been before this, or how he’d gotten here, but he knew he’d been brought here to die. There was a blur of movement, a sudden pain in Barlow’s chest, and then suddenly he was falling, over the railing, end over end, down towards the ruins below. Mercifully, he was dead before he struck the ground. The spear driven through his heart had seen to that. The voice addressing the Tesara Captain of the Guard was quiet yet strained. Even as he stood at attention behind his superior, Mirror couldn't meet her eyes, always watching the surroundings for danger. "The... uh... the southern guards are in position. Nothing to report... as of yet." Meanwhile, said southern guards were about to have their hands full with a certain Zesk. On this day of excitement and trading and visitors, Garuda could hardly be expected to stay in bed, and she was already zipping through the streets on her Sand Bat, rustling the stalls below in her low flight. There were parts to deliver, goods to exchange, last minute shipments to display, and Garuda was in the middle of it all trying to help and meet as many people as she could. GM IC: Jira - Tesara Marketplace. "Thank you." Jira half-turned, to offer Mirror a grateful nod, "With any luck, there won't be anything to report." As far as she was a concerned, an uneventful day was the best kind of day she could hope for. A lone Ga-Matoran weaved her way expertly through the crowded marketplace, making her way to the notice board, a bundle of papers tucked under one arm. "With due respect captain, I'm not holding my breath." He paused to take a look behind him. "Tesara opens its doors to all kinds of people, and you can count on some of them being rotten." On her way back across the city, a certain Matoran with arms full of paper caught her attention. Garuda set the Sand Bat down haphazardly on a rooftop and scampered down across the stalls to perch atop the message board. "Whatcha got there?" she chirped, cocking her head at Paju. "Oh, no. Not this again," Akkitu thought to himself. Garuda was tearing around the market again. Akkitu hoped he was not in her path. He saw her park the Sand Bat on a roof, and then relaxed- for a moment. "Could you try mimicking some optimism, please?" Jira asked, "I hear enough of that sort of talk from the council." Paju Smiled and nodded. "My personal vehicle is a Skyfighter, but I can fly just about anything that has wings, and a few things that don't." Edited by Smudge8, Apr 02 2019 - 10:25 PM. "That would probably be for the best." Hanging low in the new Atero Sky like a particularly large and lazy wasp, The Indomitable floated gently over the central spire that dominated the skyline of the fortress-city. Immense banners hung from the airship, lavishly emblazoned with the symbol fo the New Atero military, and aircraft of all varieties flew in formation around the immense bulk of the newly manufactured step forward in military power. The Indomitable was what was tentatively being called an Aircraft Carrier. With Fe gone and technology much freer in the world, New Atero had stepped production up, looking to fill the power vacuum that Fe had left behind. The Indomitable was the first of her kind, and assuming she performed well, would not be the last. With her hull split between two decks, Indomitable could launch and land aircraft of all kinds, and service them. It was a new world, with new tactics, and the Indomitable was the first sign of that new world. Or so her captain liked to believe, anyway. Within the bridge, hanging under the main body of the immense airship, Captain Toruhn observed proceedings, directing the various crew to their tasks and ensuring that all in New Atero could view the latest in New Atero military might. Her superiors had told her that such a display might help ease some of the civil tension. She wasn't sure if it would really do anything but stir up more trouble herself, but a little bravado certainly had never been a bad thing, in her experience. So she stood a little straighter, puffed out her chest a little more, and kept on with the parade she led across the sky. OOC: Any New Atero Pilots are welcome to be part of the airshow! and Temujin is open for interaction if you so choose! Edited by The UltimoScorp, Apr 04 2019 - 06:38 PM. GM IC: Coyle - The Indomitable, above New Atero. Standing at a distance behind Toruhn, giving the ship's captain ample space to enjoy her moment, was Commander Coyle, head of New Atero's military. In spite of the multitude of problems weighing on his conscience, the Skrall allowed himself a small smile. Up here, for now, he could set aside his worries and enjoy the moment... and do his best to not think about what was happening in the city below. The spiked Skakdi gazed out of his window, grinning at the sight of the aircraft carrier above. Though he was a Skakdi, he did his best not to let the more violent tendencies of his species dominate him. He wasn't a warmonger. He didn't like fighting or hurting others. But he'd been there during the fight against Fe. He'd seen the destruction their warships had wrought, and he'd seen several of those vessels escape before the Mountain had fallen. It was comforting to finally have something new that could stand up to the worst the wasteland could throw New Atero's way. But New Atero had to survive itself, before he could worry about all of that. Hakkzan turned to face the small group of guards - currently out of uniform - gathered behind him. "Everyone's eyes should be skyward. You know where to go. Start searching." Were he to cast his eyes southward, Temujin might notice an unremarkable, nondescript airship moving away from the crater that was once Fe. Garuda's four eyes bulged. "And people give you money for that?" A navy blue Jetrax sliced behind formation orbitting the brand new Airship in the sky. Grey hands gripped the controls as the craft began to gradually slow, as it gravitated toward the deck at the back of the giant craft. The large engines of the Jetrax also began to quieten, as Helix slid neatly into a free spot on the deck. A grey and black De-Skakdi hopped out, looking around the airship she had just landed on successfully. "Well now, what do we have here?" The Glatorian asked the rushing air. It offered nothing but howling in his ears. He angled his Orange Bandit skyward, and reduced power to the engines, hoping to quiet them as he made to follow the airship, none too closely, and hopefully away from any eyes that would easily spot him. "Ah, Commander Coyle!" The Skakki's voice boomed through the bridge, as she turned to greet the Skrall. She gave a crooked smile and gestured around her, "I trust you are finding everything to your liking?" Edited by The UltimoScorp, Apr 04 2019 - 06:37 PM. "Yeah," Paju Shrugged, "People hire me to do odd jobs. Scout areas, guard transports, the riskier it is the more I like it. The only problem is finding enough jobs to get a consistant income." "Indeed I do." The Skrall gave a curt nod, "This ship is going to have the whole wasteland talking." GM IC: Temujin - Ruins of Fe. The morning sun glinted merrily off of the polished exterior of the airship that trundled equally as merrily through the clear skies. To outsiders, it appeared to be nothing more than a regular, if kind of small, airship with a lovely lavender paint job. But to natives of Cliffside, it, and its pilot, had a rather nasty reputation. For this ship was none other than the partially infamous Vista Baby, badmouthed throughout that shanty town as nothing more than a mobile monument to its pilot's sins. Its pilot, Hestala the Vortixx, sat in her plush-upholstered pilot's seat, idly tugging her control yoke every so often with one hand and toying with a piece of jewelry with the other, and generally not giving a rip about what Cliffside thought of her precious Vista Baby. The bauble she was toying with, an intricately-carved silver bracelet, was one of the last pieces she had pilfered before her untimely departure. It might have been the breaking point, the thing that had set almost the entirety of Cliffside irreparably against her, and if it was, it was quite the overreaction over such a small little thing. She considered putting it on, but thought better of it at the last second and tossed it back onto the plush-upholstered seat next to her. Maybe later. She covered up a small yawn; in the interest of preserving her airship's immaculate waxing job from the day previous, she had had to make her great escape in the nighttime. As the sun's glint shone particularly brightly into her eyes, Hestala donned her pair of "pilot's goggles," which were really nothing more than a pair of pink-lensed aviators, also stolen. That cleared up her vision plenty, and she could focus again on her destination, just within sight on the horizon line: Tesara. She had always wanted to go to Tesara, and now, with the abandonment of that Cliffside ghetto, she finally had an excuse to. She smiled to herself as she thought of all the opportunities that might await her there. New sights to see. New people to meet. New crushes to develop. Oh God, it's been too long since I've done one of these. Let me know if anything needs to be changed, or if I'm being too long-winded. It should go without saying, but Hestala is currently Open For Interaction in transit to Tesara. “Oh. I deliver packages, but it’s not all that dangerous. Unless someone gets mad that I knocked over their flowers or lost their hat!” she giggles. The noticeboard in Tesara was, as always, well-maintained. In preparation for the opening of the new and improved marketplace, the board had been given a fresh coat of paint and decoration, now a regal blue, with glints of a gold outline flickering in the sunlight. At the moment, the noticeboard was rather cluttered, filled with notices advertising the stalls and sales that would form part of the day’s market spectacle. There were the usual recruitment offers from the Tesaran leadership, for jobs in the guard or airship production, as well as a few reward posters for lost items or missing pets. Tucked away amidst it all, however, were a myriad of more mysterious missives. One note, fresh from a printing press and bearing the mark of New Atero, promised a great deal of wealth to anyone who could provide information on two missing persons, a Steltian named Barlow, and a Ba-Turaga named Varim. Beside it was a second printed notice from New Atero, this one a hefty bounty for the head of a pirate named Xaril, wanted for attacks on New Atero’s ships, and war crimes in service of the former settlement of Fe. A third notice, stranger than the rest, simply showed a blank map of the Great Barren, with a small cross placed over an isolated spot somewhere in the Black Spike Mountains. Scribbled in the corner was the phrase, “Iron Never Dies”. The Beacon beckons. The Arena awaits. Find that which is missing, and the puzzle will be complete. The community noticeboard of New Atero was utilitarian and unadorned in comparison to that of their more Northern neighbours. It’s slew of notices were also more sparse. The invitation to Tesara’s market still took pride of place, alongside the usual council notices. Wanted posters for Varim, Xaril, and Barlow, similar to those that had been placed in Tesara, were visible, though these were older, tattered and stained. Crammed into one corner was a note with the same strange rhyme seen in Tesara, written in the same hand, on the same paltry parchment. The depths are dead, but dreams are not. A diving bell awaits on the shores of Aqua Magna. Take it. Dive in, delve deep, and find the answers to your most treasured desires. By comparison, the meagre noticeboard that had been hammered onto the outer wall near the entrance to Capstone was relatively devoid of notices. New Atero hadn’t bothered to distribute their bounty notices to Cliffside, having deemed the settlement too unruly to visit in any official fashion. The fact that all three of the people New Atero was looking for had friends in Cliffside may have also contributed to that decision. However, there were plenty of other wanted posters and bounties to be found on the noticeboard, as well as a slew of notices detailing rumours and strange sightings. The same kind of note about the Arena had found its way to Cliffside as well, though it went largely unnoticed amongst the drink-stained scrawlings about sea monsters, teleporting airships, and the alleged benefits of inhaling chasm vapours. Wailing wings and scything stings. The world is no place for such things. Pain and death lie to the West. For that is where you’ll find the nest. "Well," Paju said, extendign her hand, "It's nice to meet you, my name is Paju, what is yours?" In the same hanger as Vian, Rakin was crouched underneeth a skyfighter, shouting orders at his monkey. "Welder!" The monkey handed him a welder. "Screwdriver!" The monkey handed him a screwdriver. "Wrench!" The monkey handed him a large wrench. Rakin gave the engine of the vehicle a wack and it began to rumble. Rakin slid out from under the macine and adressed it's Agori Pilot. "Should be all good to go." Edited by Smudge8, Apr 04 2019 - 12:40 PM. Garuda retreated a little, suddenly looking shy. "Tilly says I shouldn't tell my name to strangers." He continued to follow for a while, trying to figure out where the Airship could be going as he tried to get a bearing on its direction and scanned the horizon for any sign of a place it might go. Truth told, he had no intention of following it all the way to its home, but figuring out where it was going could prove valuable to someone. The Ce-Skakdi beamed with pride, "Excellent. If there's anything you need, do not hesitate to ask." She made to return to her post, but thought better of it after a moment, "Care for the tour, Commander?" Edited by The UltimoScorp, Apr 04 2019 - 06:36 PM. "Oh, um," Paju was a little taken back. "I mean you seem like a nice person." Not sure what to do next she started looking for a spot to pin up her flier. The Ko-Matoran looked around. He saw a Zesk and Ga-Matoran discussing opportunies for adventure, and decided he might be able to help them. Akkitu was, after all, planning an expedition. OOC: Akkitu open for interaction. Garuda wrapped her tail around the top of the board and hung beside Paju, pretending to consider the other fliers that she could hardly read even if they weren’t upside down. Soon after, an ivory Axalara eased into position beside the Helix, making a perfectly square landing look easy. The pilot stepping out showed the same easy discipline as he surveyed the hangar. His grim countenance made it clear he wasn’t impressed. Then Eoron’s eyes caught on something that twisted his frown into a snarl. “What is that Darter-bitten vermin doing on this ship? !” he shouted at Rakin. Paju waived to the approaching Ko-matoran and was about to say hello when something on the board caught her eye, "Wow, there's a lot of bounties here. That gives me an idea. She pulled out a pencil and began to scribble an addendum on her paper. Rakin waltzed over to Eron, a similar scowl on his face. "It's my assistant, who's askin?" Kane-Oma was renowned in Cliffside for his strength, and his heart. While rough on the exterior the few who knew him well knew that he was fiercely loyal to those who he considered family. And when you mess with Kane's family you get the horns. He doesn't always think things through, especially when he's angry. Which would explain why he was riding his vehicle, The Mukau, only about a dozen meters behind the Vista Baby. With only two thoughts on his mind. The first thought was of getting revenge, the second went along the lines of What the Karz am I supposed to do now! The sun also glinted off of something else in the air, something that showed up in the Vista Baby's rear view mirror. Hestala turned her gaze upward for a moment to see what it could be, and found a lump of an aircraft- a large Rockoh covered in bones- puttering along behind her a dozen meters away. If she didn't know any better, she would think that the Rockoh was just going in the same general direction as her. But she did know better. She had caught glimpses of this ship around Cliffside every so often. And there were no other airships around for this one to drift behind. The logical conclusion was that somebody from Cliffside had gotten it into their head to chase her down. Well, it had certainly taken them long enough. Throwing some levers and twirling her control yoke about, Hestala positioned the Vista Baby so that it continued along its current tragectory, but its cockpit faced the other way, behind her. This was to allow the pilot of the pursuing Rockoh to get a look at her directly, so she could taunt them a bit. The Vortixx woman put on a smug grin and waggled her fingers at the other ship's pilot in a flirty wave. She then stuck out her tongue a bit for good measure. Hestala has noticed that Kane-Oma is following her. His target had the nerve to face him. That was good. Kane-Oma hated cowards, and it made strategising a lot simpler too.The Mukau began to bob and weave aqwardly as Kane shifted it into position, aiming at the cockpit, locking eyes with Hastala. She stuck out her tounge, Kane roared and gave her a look of pure rage, then began to accelerate. "I wouldn't object to a tour." Coyle nodded. "Lead on, Captain." GM IC: Temujin - near ruins of Fe. The airship continues on a roughly southbound course, occasionally shifting around to weave between mountain peaks. Based on its trajectory, a number of potential destinations may occur to Temujin, the most obvious being that it intends to travel all the way to New Atero. 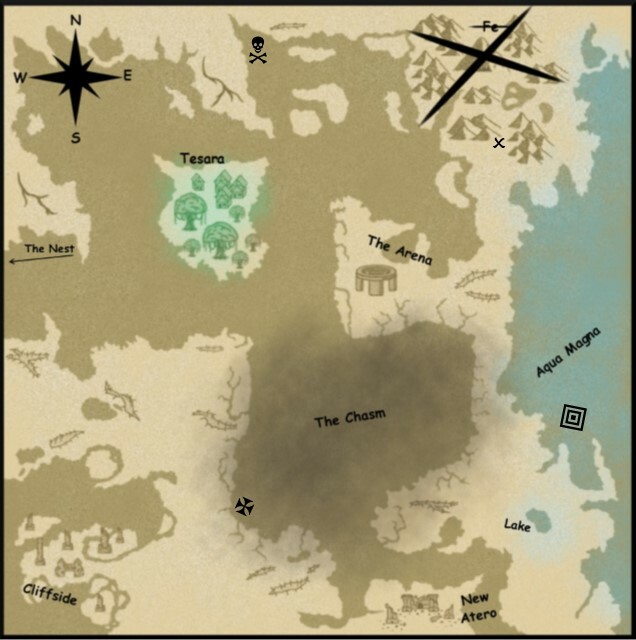 It could also have been linking up with a fishing expedition somewhere over Aqua Magna, or even be destined for some hidden berth within the Black Spike Mountains themselves, for although Fe itself was gone, many of its former outposts and watchtowers still stood, to some extent, and were often used for temporary shelter by exiles, outcasts, scavengers, and pirates. Ooc: Mobile post so no fancy colors until I can re edit this with them on my PC. "Very good, sir. XO Hiruti, you have the bridge!" She was responded to with a sharp salute and an "Aye, Captain." "This way, please," She said, leading the commander to the ladder at the rear of the room and up into the Crew Deck. Now that was interesting. Temujin liked to believe he was a worldly sort of Glatorian, and he knew that New Atero and Fe had come to a very short, very brutal war. An airship, unmarked as it was, going from the Fe ruins could be any number of things. Its relative state of repair made the idea that it was a scavenger vessel or pirate airship seem unlikely, there was little reason for a fishing vessel to have stopped here in the first place, and while it was possible that it was a New Atero vessel, that struck the Iron Glatorian as unlikely as well. He was, of course, going on the assumption that the airship was in fact, headed for New Atero. Which meant that perhaps Fe was not as defeated as it appeared. And on that note... He set down close to where the ship had lifted off from, opening the canopy and crawling out as the Jetrax engines of the Bandit whined slightly into silence. Edited by The UltimoScorp, Apr 05 2019 - 09:36 PM. "Anyone told you that you looked a bit like an angry Tarakava?" The De-Skakdi leaned against her ship, looking at Eoron. She hadn't met him before, but had been advised by her superiors about him when she signed up. The question wasn't one of snide or malice, mind, Viann was just a woman of strange observations, whether they be accurate or not. Wordlessly, Coyle trailed after the captain. He'd been privy to the discussions regarding this project, and seen some of the designs, but none of that compared to actually being in the belly of the beast. GM IC: Temujin - Fe Crater. The mess of blackened, windswept rubble that had once been called Fe was now a haphazard, uneven expanse of broken rock and mangled machinery. There was very little in the way of level ground, and even from the highest vantage point one could find, there were plenty of small details that could be lost from sight amidst the crannies and crevices. Standing out among the drab greys and blacks near where Temujin had chosen to land, however, was a flash of vivid colour: a royal blue coat, embroidered in gold. The coat's wearer was a very dead Steltian, his remains bent and broken over the rocks. Evidently, he'd fallen from a considerable height, though the shaft of metal protruding from what remained of his chest suggested a very different cause of death. The dead bruiser's head was still intact, and if Temujin had happened to have glanced at a noticeboard in recent weeks, he would likely recognise the corpse before him as Barlow, one of several persons that New Atero seemed very interested in finding. Rakin imediatly straitened up. "Sorry sir, but the monkey goes where I go, and I'm assigned to this ship." With barely a glance at the cannons Kane-Oma accelerated to ramming speed. “Not if I deal with you first.” She smirked, her attention turning to Rakin. "Sure can, that's why I'm on this ship, what with it being a prototype and all."